We have two games for this week to take you back to the past. Lets get started shall we. After Burner II will be our first game. After Burner II was developed by Sega and was release in 1987 only three months after the release of After Burner. You are the pilot of an F-14 Tomcat fighting off waves and waves of enemy fighter jets while dodging incoming missiles at high speeds. In higher levels you will start getting tailed by an enemy missiles and/or fighter jets which you have to dodge before they catch you. After Burner and After Burner II are basically the same game having only minor differences between them. After Burner II had a throttle added to the control setup. After Burner II also had 3 more levels then After Burner giving is a total of 21 levels. Next up our second game is Twin Hawk. 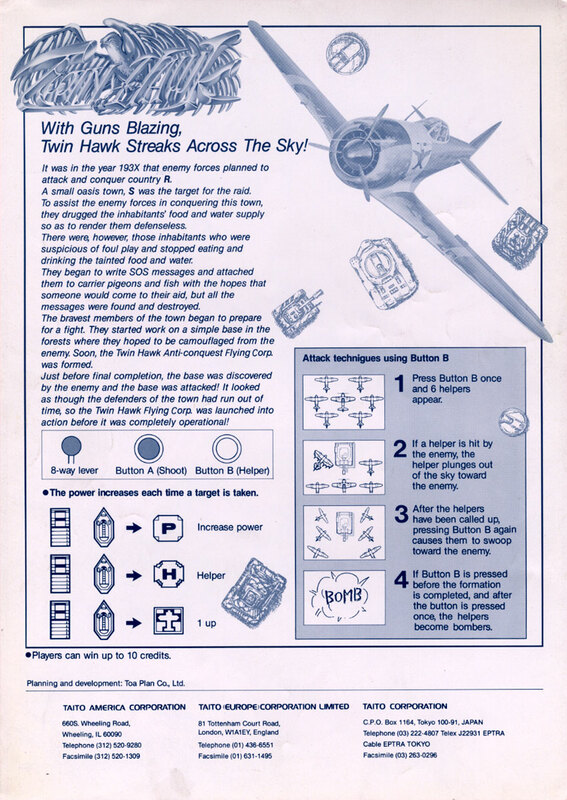 Twin Hawk was developed by Toaplan and is brought to us by Taito in 1989. It goes by the name Dai Sen Pu (Great Whirlwind) in Japan. 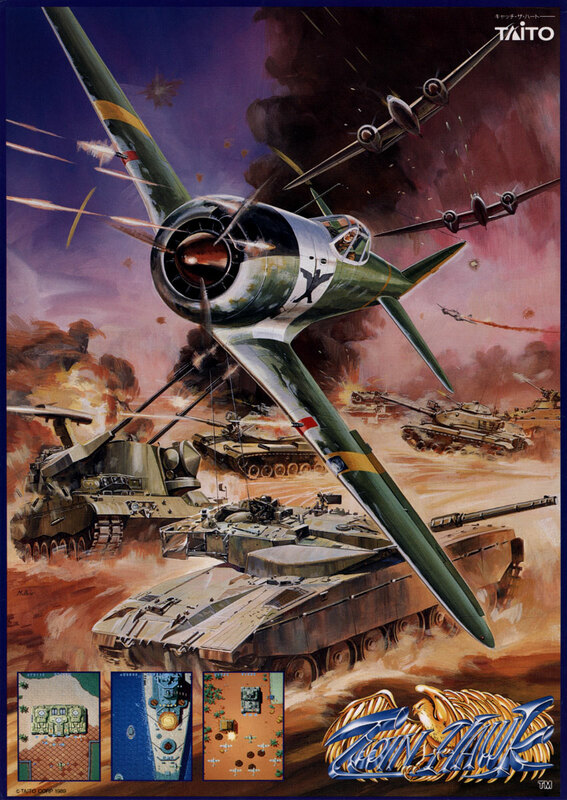 Twin Hawk is set in World War II and you control a fighter plane. You only encounter ground vehicles in this game which means the only obstacle is the bullets fired up at you from the ground forces. The special weapon you're packing is a squad of six fighters that are only briefly helpful with limited movement they are shot down fast. Pressing the special button while the squad is in formation will make your squad kamikaze into the closest enemy. Also if you press your special weapon button again before the squad is in formation will cause you squad to kamikaze in a huge explosion a little ahead of your plane.